The MacLean Legacy Society recognizes those generous Alumni and friends who have projected their love and support for Chi Phi and its mission beyond the horizon of their own mortality by making a deferred or estate gift of $10,000 and higher. Giving through an estate gift such as bequests, charitable remainder trusts, charitable gift annuities, living revocable trusts or beneficiary designation on a life insurance policy or retirement account provides an opportunity for Alumni to defer making a significant gift until after their death or the death of a loved one. Often, these deferred gifts become game-changers due to the tremendous positive impact they make on an institution like Chi Phi. 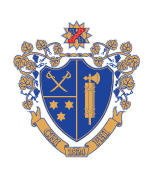 If you would like sample language to use in your will to establish a gift benefiting the Chi Phi Educational Trust, click here. If you would like more information or discuss the best deferred giving method for you, contact Director of Development John Fisher at 404.231.1824 or fisher@chiphi.org.